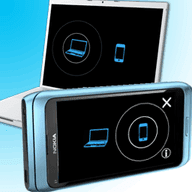 Now A days everybody owns a mobile phone with camera.And it is really interesting and simple to use your mobile phone camera as webcam for your yahoo,gtalk or any other messenger. So if you dont have a webcam and doesnot want to waste money on buying a new one then this is the best solution for you. 2. A Desktop or a Laptop. 3. Nokia OVI Suite and a Data cable to connect. 4. An Internet Connection for live experience. 3. Install EpocCam Windows drivers from here. The same drivers work for both Lite and Pro versions. Use Windows control panel or uninst.exe on EpocCam installation folder. Before uninstallation make sure all the applications using EpocCam (Skype, MSN Live Messenger etc) are closed, otherwise you may need to restart the computer.